Each year, the OPCA holds their annual conference in conjunction with Convenience U / Carwacs Show in Toronto. This year, the conference was held at the International Plaza Hotel and Conference Centre on March 6th to 8th. 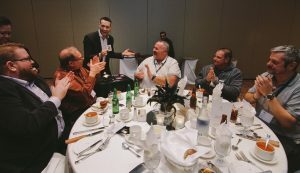 OPCA members gather at our event every year to attend education sessions, roundtable discussions and as well as a few social gatherings to enjoy after a day of meetings and sessions. We are also fortunate to coincide our event with the Convenience U / Carwacs Show held this year at the Toronto Congress Centre March 7-8. Ensemble IQ has supported the OPCA and likewise to provide the convenience to our members who look forward to attending every year. 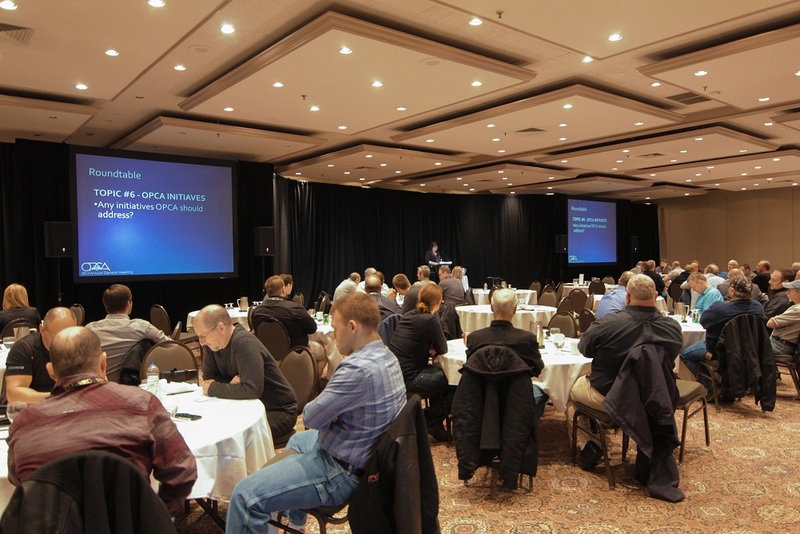 The OPCA was also host to the Canadian Petroleum Contractors Association Annual General Meeting on March 6. In attendance representing were CPCA president Marcus Cormier, directors Ken Jamieson (Ontario), Louis Rizzetto (Quebec), Margo Middleton (British Columbia), and CPCA administrator Michelle Rae. For highlights of this meeting and the latest news from CPCA, visit www.CPCAonline.com. Each year the OPCA invites companies to provide industry related training for our members. Thank you to the following companies who provided training sessions this year. Several company representatives also travel from the United States to provide these sessions. These sessions are provided at no charge to OPCA members and their employees. We also extended the invitation again to TSSA staff to attend the training sessions and we were happy to see several TSSA staff in attendance. Cathodic Protection Recertification – thanks to Elson Fernandes of Elfent Ltd. for running the Cathodic Protection recertification sessions at the conference. 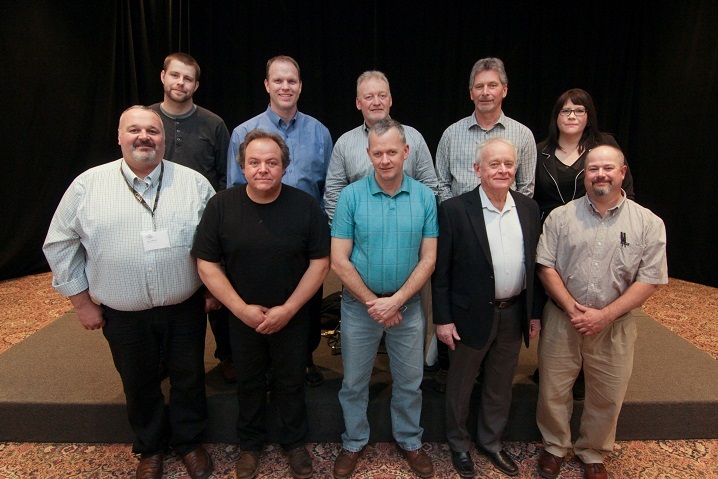 The OPCA hosted a POST Safety Forum on March 7th. Thank you to the organizing committee, Scott Eadie from SAS Petroleum Technologies and Mike Lamont and Russ Porter from National Energy Equipment who assisted the OPCA in hosting an informative and interactive session. Special thanks to Scott Eadie who did a fantastic job as our master of ceremonies for the event. Thanks to everyone for their great presentations. All presentations are available to view online at OPCA’s Youtube channel. The presentations are a great way to open the dialogue on safety issues with your staff as presentations at your own meetings or simply share the links to communicate these safety tips. Darryl discusses Shell’s Hearts and Minds Toolkit which assists in creating and maintaining change in the organisational safety culture by involving all staff in managing Health, Safety and Environment. Do you and your employees intervene when you see an unsafe act? See our audience results during this live survey. 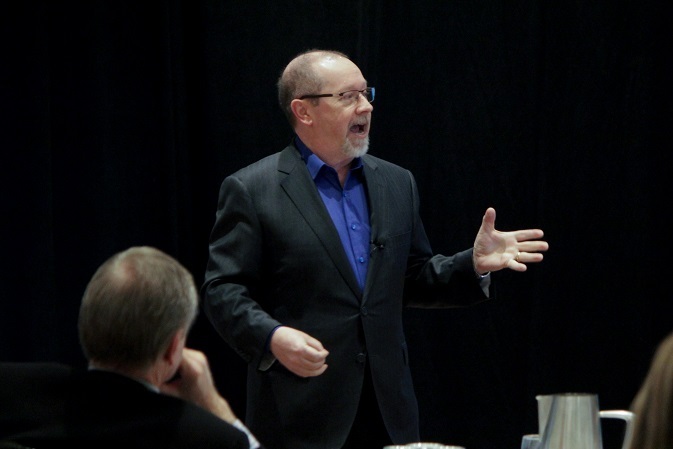 The OPCA invited safety expert Kevin Burns who spoke on the way people engage with each other in the workplace. Engaged employees take pride in their work. Engaged workplaces care about quality. Engaged organizations are highly productive. And, engaged employees take workplace safety personally. Simply put, improve your people at all levels, value them, increase their engagement levels and you improve the things they do: quality, production and safety. Kevin presented his M4 Method of people-centered management for safety in the workplace, laying out the practical, how-to steps that frontline supervisors and safety people can master. This promotes a relationship-based culture focused on mentoring, coaching, and inspiring teams. It’s an approach that ultimately improves employee productivity and allows everyone to achieve their personal goals and the goals of their company. If you are interested in hiring Kevin for your own event, please visit his website at www.kevburns.com. 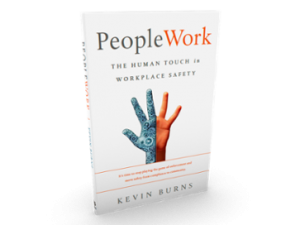 Kevin has also published several books on safety that can be used as tools in enhancing the safety within your company. In his latest book, PeopleWork: The Human Touch in Workplace Safety, Kevin Burns presents a ground-breaking method for safety people, supervisors, managers, executives, and crews to maximize safety results by focusing on people. Michelle Rae provided an overview of the new POST mobile app now available through both the Google Play Store and Apple App Store. OPCA has retained LVM Tech to help us develop the app. LVM is a leader in mobile forms technology and caters to many leading businesses including Shell, HP, AT & T and Toshiba. The intent of the app is to be an extension of the POST main website – we want to keep bringing our users back to the site and feel like we are always in touch with everyone. In addition, there is also a mobile form feature for all the POST documents. Workers can fill out all POST documents right on their mobile device which are then saved to their own servers. The apps landing page will display icons of the available options for users including access to safety bulletins. Users will also receive notifications for any updates from POST which ensures they are always on top of the latest industry safety news. You will also be able to utilize the contractor search function on the app. If you haven’t already, please visit the POST site and add your company to our contractor database. The database can be searched by region as well as by over seventy categories based on the services your company provides. The OPCA is grateful to all that attended the safety forum from our contractor community as well as oil company representatives such as Shell, Husky and Suncor. That evening attendees gathered for dinner with entertainment provided by master magician Jack Poulin who hails from Quebec City. Rather than performing on stage, Jack worked the room performing a different magic trick up close for each table. Afterwards, attendees made their way to the hospitality rooms hosted by Waleco, National Energy Equipment and KMD. OPCA President Ken Jamieson welcomed members from all over Ontario as well as those who has travelled from other provinces. 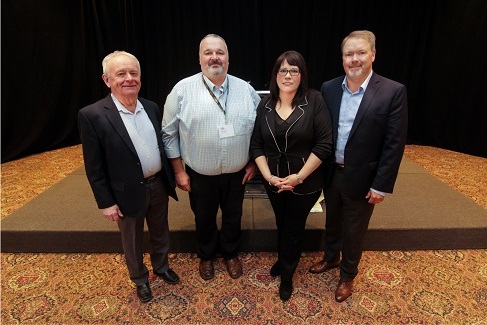 OPCA was also host to the CPCA Annual General Meeting on March 6 and welcomed CPCA representatives who attended the conference including CPCA president Marcus Cormier from APSSCA (Alberta), Margo Middleton from BCPCA (British Columbia) and Louis Rizzetto from AEPQ (Quebec). Special guests and speakers included Ann-Marie Barker & Zenon Fraczkowski from TSSA, Sarah Jeffery-Hampton from the Ministry of Government and Consumer Services, Lorna Catrambone from Threads of Life and Michael Kaloussian from LVM Technologies. Ken also thanked all the companies who have sponsored the conference with either a monetary donation or prize donation. 100% of funds donated are used to purchase prizes for the draw. The OPCA greatly appreciates the generosity of sponsors, some going above and beyond and providing great prizes for our prize draws including Toronto Maple Leaf tickets, Apple ipads, a big screen TV and much more. The roundtable provides a forum for members to share experiences, issues and challenges faced in their businesses and assists the OPCA in determining what issues face members and what needs to be addressed by the association on behalf of the members. Various topics are given to generate conversation with some specific questions geared towards improving the quality and value of services provided by the OPCA. On behalf of the OPCA Board and Members, Gord was presented with a gift for serving as president of the OPCA for almost twenty years since the OPCA was established in 1994. Current president Ken Jamieson and Gord have been the only members serving as president, with Ken serving between 2005 and 2010 and 2016-present. The OPCA greatly appreciates Gord service and commitment to the association and his continued service as past-president. Attendees also had the chance to attend the Convenience U/Carwacs Show on March 7th and 8th. The show is hosted by EnsembleIQ at the Toronto Congress Centre showcasing the latest in petroleum technology and equipment. The OPCA also hosted an information session for service station owners on March 8th. OPCA member and consultant Dave Ledingham of Petroleum Technical Services provided the session as part of the Convenience U / Carwacs Show educational sessions. The session focused on safety and emergency procedures, the characteristics of gasoline and diesel and how to handle leaks and spills. Thanks to Carwacs for inviting the OPCA to provide this session. Lastly, thanks to Ensemble IQ and the staff of the Convenience U/Carwacs Show for their continued support of the OPCA and their members by providing a booth to OPCA to help promote the association at the show and for the show passes for OPCA members. Terry Ablett represents the OPCA on TSSA’s Petroleum Advisory Council – the council meets a few times per year. Elson Fernandes and Ken sit on TSSA’s Risk Reduction Groups whether it be for Liquid Fuels or Fuel Oil. Most meetings are ad hoc based on need or initiatives and meet throughout the year. Michelle Rae and Henry Gruyters sit on TSSA’s Training & Certification Advisory Board (TCAB). The advisory Board meets to discusses issues pertaining to Petroleum Mechanic Certification, reviews policies and makes relevant recommendations such as process improvement or needed program updates. Although the group have not met in a while. Phil and Elson sit on the ULC committee. The responsibilities of a ULC Standards Technical Committees include the review of the need for new standards and the updating of existing standards; the development of the full text of the standards; the consideration of proposals or requests for revisions or amendments to existing standards; and the interpretation of the requirements of specific standards. Elson and Ken also participated on the CSA committee in developing the updated B139 series 15 Standard. Thanks to Ann-Marie Barker and Zenon Fraczkowski for attending again this year. We also extend an invitation to TSSA staff to attend our manufacturer training and are pleased a number of them attend. We are anticipating the latest version of the Liquid Fuels Handling Code to be published. We know there were some delays because of the Northern Ontario Compliance Strategy to work with service station owners in Northern Ontario who are struggling to meet compliance within standard timelines. Michelle will be working with Ann-Marie and Zenon with respect to a curriculum for a code update workshop and we look forward to working with them towards this initiative. After two years of discussing the requirements and coming to an agreement for all underground pressure systems to have ELLD, the TSSA has pushed back on the requirement for sites with systems between 2007 and present at the last RRG meeting. The OPCA will continue to lobby ELLD for all systems. Last spring, Chitra Gowra and Ryan Post of Conservation Ontario attended an OPCA Board meeting and provided an overview of their initiative for mandatory risk management plans based on the government’s Clean Water Act. Ryan provided an overview of the program showing how the regions are broken down across Ontario, the various threats to water sources, key vulnerable areas and the risk management requirements for the handling and storage of fuels. We noted there are many facilities that need upgrades some owners cannot afford, specifically independent sites. Chitra indicated the government is looking at re-establishing their stewardship program. We also felt the government needs to step in with respect to abandoned sites. We recommended that Conservation Ontario also work with Federal regulators (i.e. NFC committee). We expressed our support for their initiative and offered our assistance if needed. With respect to an OPCA pension plan, we tried for last two years to get a program off the ground. Unfortunately, there has not been enough interest from the members. That being said, if there is sufficient interest down the road we can still set up a program. Canada Brokerlink is introducing a new personal insurance plan. We are excited to provide this discounted insurance members and their employees and thank Canada Brokerlink for their efforts in providing this exceptional program. The POST committee comprises of contractors, service companies and major oil companies. We also have representation from an Alberta contractor Howard Heal of Bar W Petroleum to represent the western provinces. The OPCA has offered to host similar safety forums for the other contractor associations so we hope we can organize this in the near future. We thank the committee for their continued commitment to POST and for all of their efforts over the past year. Also thank you to Michelle Rae, Scott Eadie, Russ Porter and Mike Lamont for organizing the safety forum yesterday. We had a great turnout and some great discussions which hopefully our attendees felt were beneficial. The committee meets several times throughout the year and has ongoing discussions on our safety requirements for our industry, aligning our ideas with requirements across Canada as well as trying to come up with improvements with current safety processes. The oil companies also compare their own statistics and discuss whether improvements or amendments need to be made to POST. A considerable amount of work was spent over the last year on redeveloping the Vacuum Truck Checklist and developing more specific standards for hot work. 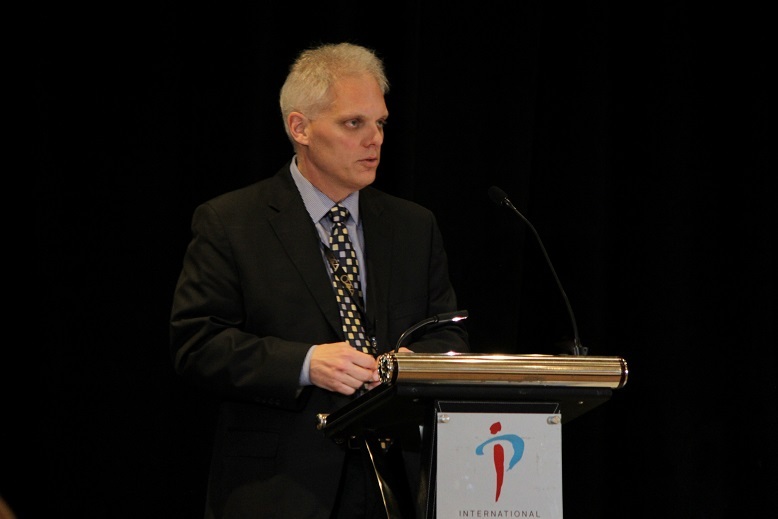 Ron Ballantyne continues his work with us in promoting POST to the independent oil companies. He has also recently met with some of these companies as well as following up on some further initiatives and incentive ideas to strengthen the POST program. I will let Ron provide more details on that when he comes up to give us a report on these activities. We continue to grow the POST program, we developed the Level 2 for the POST orientation and we are now at our final stages of a POST mobile app. Michelle will go into further detail on that. So, as you can see we have a lot of things on the go with POST between the committee, new initiatives and behind the scenes with staff making sure everything runs smoothly from managing the websites and the training to mailing out our wallet cards and hard hat decals. As you know, we publish a booklet on the recommended practices for all of the components of petroleum work such as tank installation and removal and working in confined spaces. We are currently working on a few minor updates. The new version will also include updated graphics. We are also looking at releasing a digital version so you can access the booklet on your mobile device. Please stay tuned for more information. The OPCA maintains a close relationship with CPCA as OPCA staff also help manage CPCA including maintaining the CPCA petroleum mechanic certification and training program offered across Canada. Our staff also works with editors from EnsembleIQ to publish Canadian Petroleum Contractor magazine on a quarterly basis. We welcome content suggestions and let us know if you are interested in having your company featured in an issue. With respect on our online presence, our staff also maintains the OPCA, POST and CPCA websites as well as our learning websites for the petroleum mechanic training programs. Also, if you are on Twitter, make sure to follow us – our handle is @opcaonline. This is a great way to cross promote safety initiatives and activities of related organizations. Last fall, we hosted our third annual golf tournament on September 30th at the Nottawasaga Resort in Alliston. The course played beautifully and we were met with amazing weather this year. The turn out was great with approximately sixty-five golfers attending this year. Everyone had a wonderful day and once again we were able to benefit a great charity in Threads of Life. Thank you to everyone who came out to the event including OPCA members, POST committee members, industry suppliers and several friends and family. Thank you to Ken and Gord for attending on behalf of the OPCA Board. We are also grateful for the continued support of Shell and Suncor who also participated in our event. We would also like to thank Henry Gruyters for performing MC duties and Scott Eadie for being our official photographer for the day and capturing some great shots of all of the fun. The proceeds from the tournament go to Threads of Life, a very special organization that promotes safety in the workplace and supports families who have suffered a workplace fatality, traumatic life-altering injury, or occupational disease through many of their programs across Canada. Threads of Life volunteer Fran DeFilippis attended the dinner that followed the tournament. Also thank you to all of our sponsors, without their support such a successful event is not possible. Support was received through hole sponsorship and prize donations. Thanks to Dave Mason for arranging our hole in one prize of two Can-Am ATV’s and thank you to St. Onge Recreation for supplying them. Unfortunately, no one was lucky enough to get that hole in one but we had some players that were pretty close. We are pleased to report we raised $8000.00 for Threads of Life. The OPCA was also honoured last fall to be recognized by Threads of Life with a “Friend of Threads of Life” award at one of their regional events. Michelle attended the dinner on November 5th and accepted the award on OPCA’s behalf. The OPCA to date has raised $23,000 for Threads of Life with their annual golf tournament proceeds. We are proud to be able to give back to the community and wouldn’t be able to do so without our member’s support. Lastly, we continue to promote the OPCA by advertising the trade through various schools such as the University of Waterloo, Conestoga College and Ryerson Engineering. Owen Wilfong provided a breakdown of the 2016 OPCA membership. Last year membership renewal fees were discounted by half for members of five years or more. Renewals will be going out at the end of the month once the Board evaluates this year’s member renewal fees. Please ensure our email address is in your safe senders list to ensure you receive our newsletter in your inbox. Please check your listing on our website to ensure your information is correct. Members can also list their services on our website which will increase your exposure in our search engines as well as assisting OPCA staff with referrals. Owen thanked members for their continued support. We’re just about a year in and the account has performed at just under 5% net of fees. Michelle provided an overview of the OPCA training programs including Petroleum Mechanic Certification, Site Operator, Cathodic protection certification as well administering the POST program. OPCA training partners also offer PM training, other fuels related training as well as a safety training. 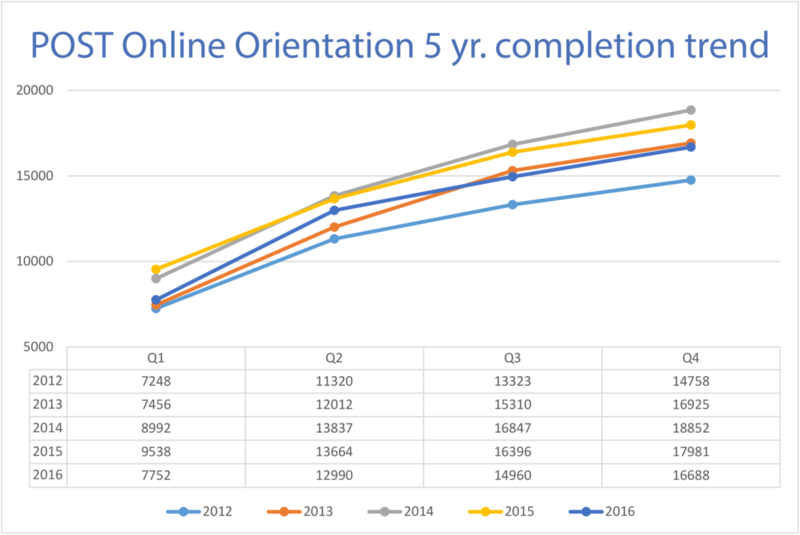 Yearly analytics showed a slight increase in PM3 course completions for 2016. Michelle provided an overview of the OPCA learning site www.OPCAlearning.org. The site is a companion to the OPCA PM home study courses. Students complete certain activities online prior to attending the in-class review. The site is managed by OPCA staff with little outside support required. OPCA online tools not only enhance the students learning experience by better understanding the material but also come to class better prepared. Michelle acknowledged OPCA instructors Dan Tremblay and Jean-Marc Leblond for their work over the last year. Michelle also thanked the OPCA members for the continued support of the OPCA training programs. Michelle provided an overview of the POST program, including the five-year trend of POST completions and an introduction of the new POST Mobile app. Michael Kaloussian of LVM Tech provided an overview of the mobile forms available through the app including custom forms available to members as well as special discounts for cell phone plans and fleet tracking. Ron provided an overview of his activities working with OPCA to promote POST. Activities include engaging resellers to adopt POST as their safety program. Meetings have been held with Husky and Canadian Tire; initial reception to program was positive, no commitment yet to adopt. Meetings have been scheduled with other resellers in the coming weeks. We have brought the program to the MOL and WSIB with very positive reception. Will continue work with both bodies for accreditation and rebate program for contractors utilizing POST. OPCA will then reach out to other provincial counterparts for similar accreditation. Associate – Elson Fernandes, Elfent Ltd.
General Member – Ken Jamieson, Kenstruct Ltd.
David Mason of Canada Brokerlink and manager of OPCA’s insurance program provided a recap of the insurance industry over the past year including an update on OPCA’s insurance program. Dave also discussed recommendations for pollution insurance for retailers as well as petroleum contractor involvement with respect to these policies and claims. In attendance with Dave was Tracey Montgomery administrator for the OPCA program and Megan Durocher administrator for OPCA’s new program for personal insurance. Megan provided a presentation on OPCA’s new personal insurance program for members and their employees. Click here for more information on OPCA’s new Personal Insurance Program for members and their employees. Zenon Fraczkowski provided an overview of TSSA’s corporate structure. Ann-Marie Barker provided an overview of the Liquid Fuels Handling Code updates. Lorna provided an overview of Threads of Life’s mandate and various initiatives. She encouraged members to get involved with Threads of Life either by corporate sponsorship or participating in their campaigns including their annual Steps for Life. She also thanked the OPCA for their continued financial support through proceeds from their annual golf tournament.